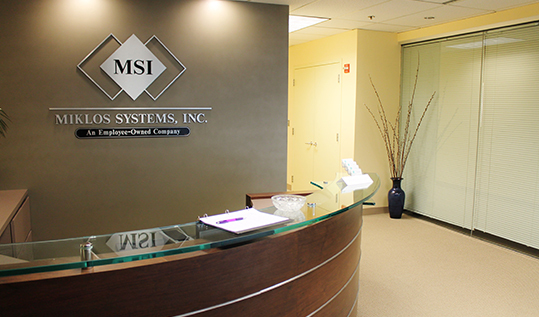 Our Company - Miklos Systems, Inc.
Miklos Systems, Inc. (MSI) offers high quality software and systems engineering services across the full spectrum of system and software development life cycles. Founded in 1993 and headquartered in Fairfax, Virginia, Miklos Systems, Inc. offers the flexibility of a small company but with great depth and breadth of skills. Each person who joins our team is a technical expert in their field. As our numbers grow, our skills and service diversity increases, and the breadth of solutions we can offer to our customers increases. We have specifically avoided developing a niche technology and instead have focused on hiring, developing, and retaining the best in their fields. MSI became an Employee-Owned company in 2006. At MSI, we believe the people who have contributed to the success of MSI should share in the ownership and benefit from the company’s success. Our employee-ownership culture inspires us to be more innovative and strive for higher customer satisfaction. Immediate access to senior management, a responsive corporate culture, and streamlined infrastructure allows us to provide cost-effective solutions to our customers. In 2017, MSI became Certified Employee Owned®. 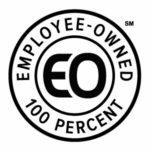 As a member of Certified Employee-Owned®, MSI meets rigorous standards of significant and broad-based employee ownership that ensure all of our employees share in our success. To learn more about this distinctive certification, please visit www.certifiedeo.com.